A sill fixed on the floor in a door opening usually to prevent draught and water ingress through the bottom of the door. There are many different types of front door thresholds available dependant on what you are looking for. Things to consider would be the gap between the door and the floor, whether the threshold needs to allow for disabled access and whether you require both draught and rain proofing. 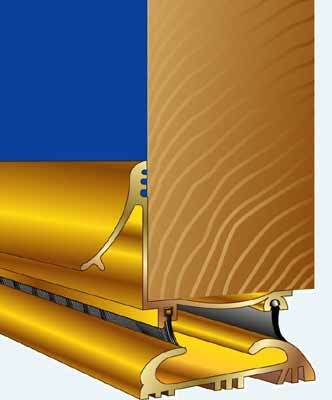 The above images show various types of door thresholds. 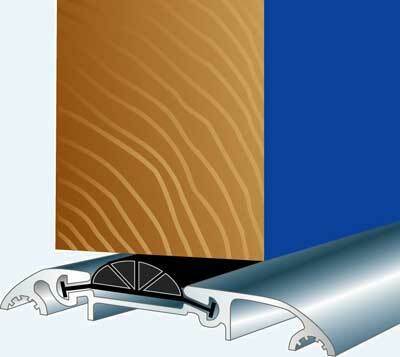 The first image shows an aluminium threshold with a rubber seal. When fitted to the floor in a door opening this threshold allows easy access for wheel chairs and other light wheeled traffic. 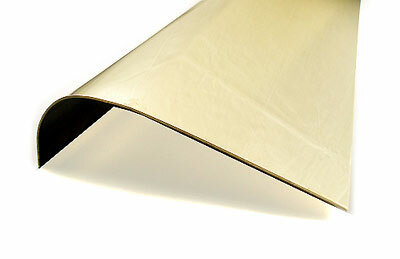 The second image shows a superseal threshold in a gold finish. This threshold is suitable for inward opening doors and provides a rubber weather seal as well as deep water collection channels. 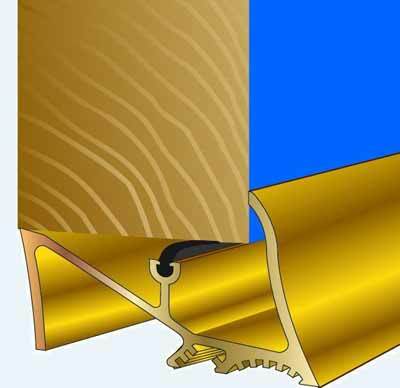 The third image shows a gold threshold that incorporates both a rainguard and draught excluder and is suitable for inward and outward opening doors. The curved upstands allow for wheelchair and pram access. 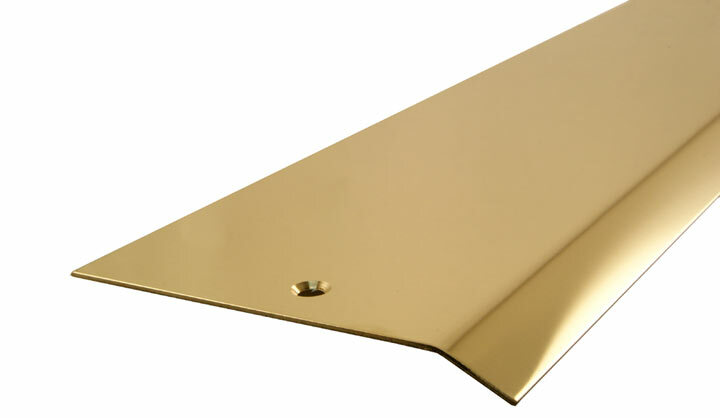 Another type of threshold used in an external door situation is a bullnose threshold. 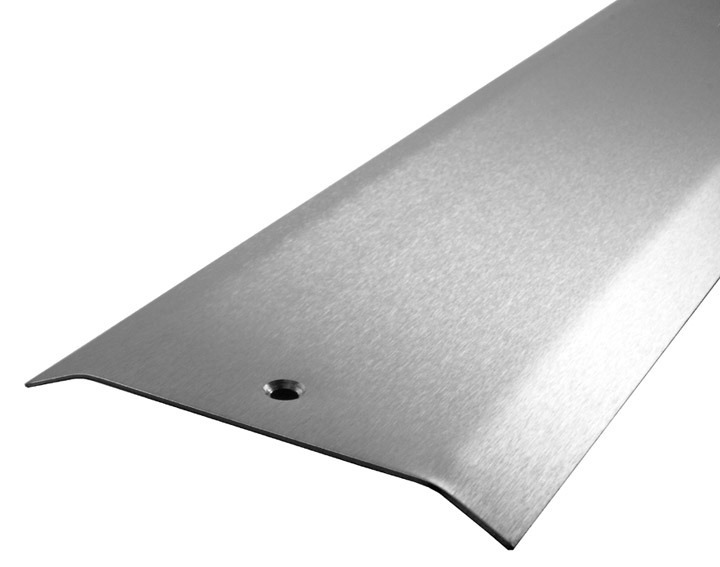 This type of threshold has a curved front and is designed to cover and protect a front door step. 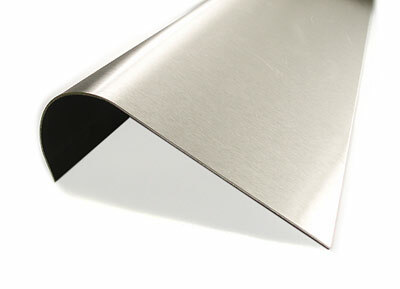 Available in stainless steel and polished brass this front door threshold can be shortened as required and cut into the shape of the door frame. When it comes to internal door thresholds there are again many varieties to choose from. You need to consider what material you require, whether you are fitting the threshold strip to cover carpet, lino, tiles or laminate. Do you want a flat strip or a bevelled edge threshold? Below are some images of threshold strips showing single and double bevel edges.